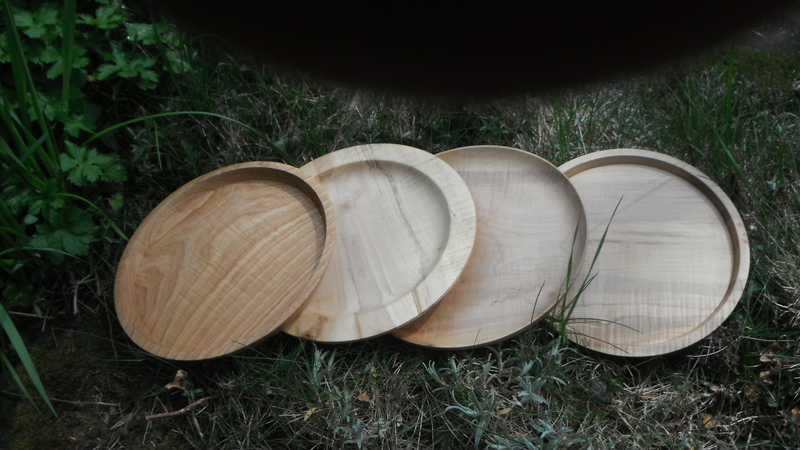 Having recently sourced some lovely character Cornish sycamore & chestnut, I took this opportunity to turn up, what I term as “everyday plates”. 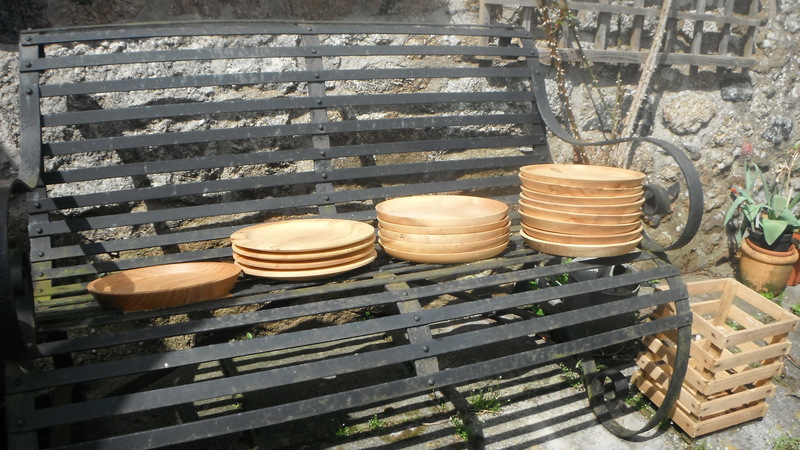 Sycamore has been used over the millennia for platters & “Treen ware” (spoons/plates/kitchenware), some examples being highly collectible. One of the attributes of sycamore is that it does not taint food. 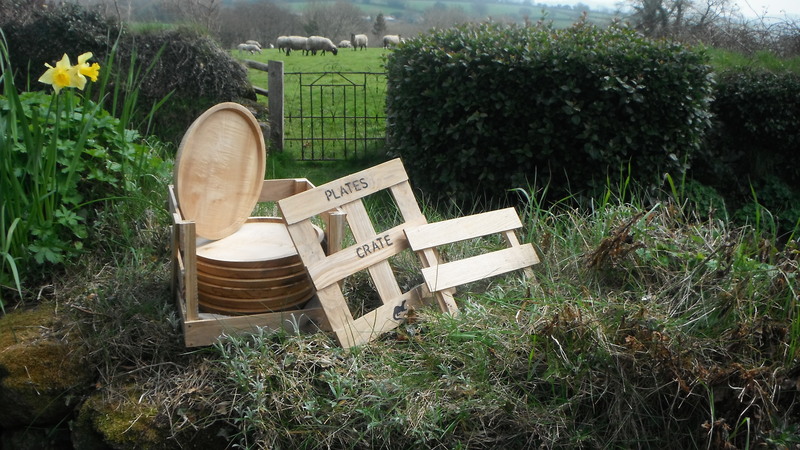 I am now producing sets of plates in a packing crate, hence: Plates in a Crate! 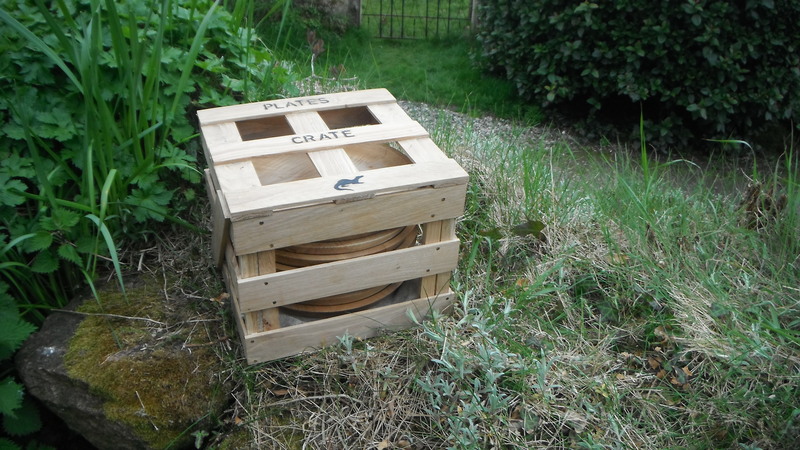 The crates are made up from whatever off-cuts I have – I don’t like waste. 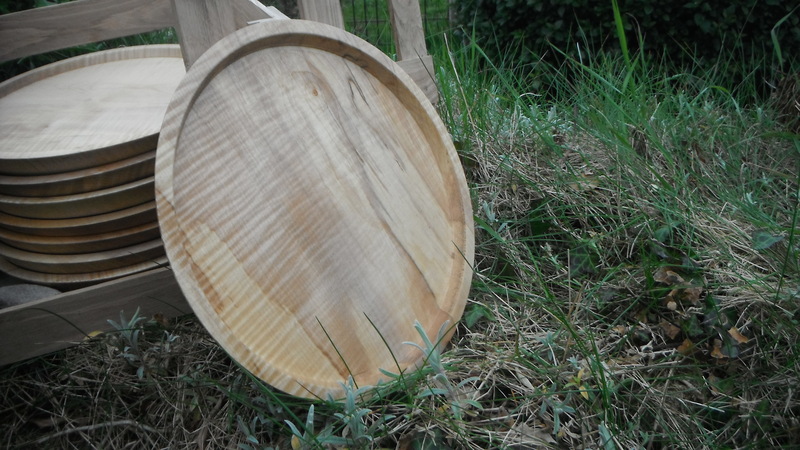 I make plate/bowl designs of various sizes to order, so that a complete service can be built up & I will even make the wooden spoons/forks to go with them!